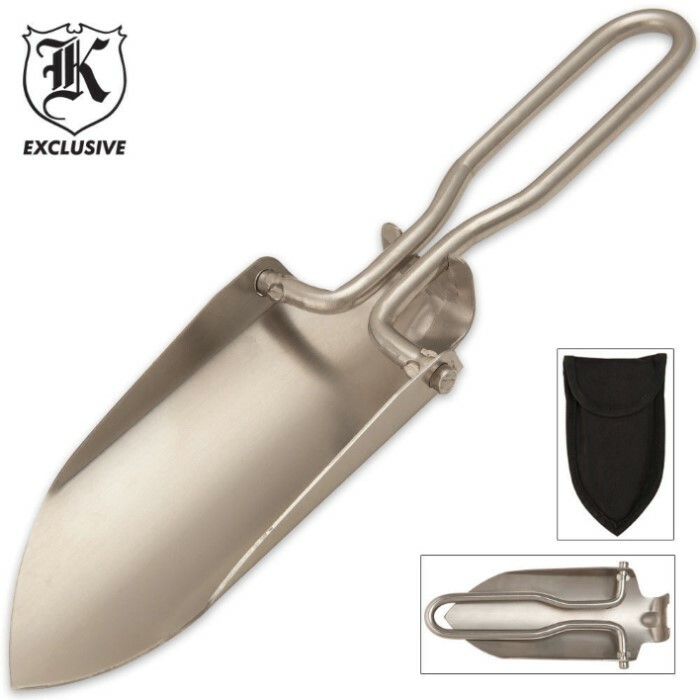 Mini Folding Stainless Steel Trowel | BUDK.com - Knives & Swords At The Lowest Prices! Head Size: 5" x 2 1/4"
Looking for a convenient and compact shovel? This mini folding trowel is just the tool you need! Constructed of stainless steel, this trowel can stand up to whatever job. Includes a nylon pouch for storage. 5" x 2 1/4" head, 8 3/4" long.